If there is one cuisine that isn’t fussy or fancy but is all about jaw dropping flavour, it is Italian! Italian food is like a romance with food, where you feel every texture, taste every flavour and gradually fall in love. One thing other than the fresh ingredients that makes Italian food lip smackingly delicious is – the passion of the people! Italians are just so passionate about their food. When you hear them describe their favourite meal or even just talk about what they ate for dinner last night, there is just so much passion with which they describe every detail and every flavour. Today’s recipe is inspired by Italian flavours and passion. 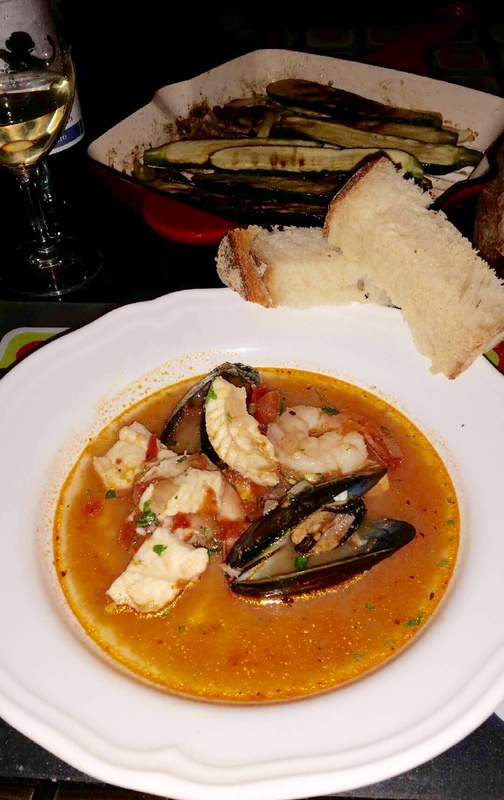 This seafood stew is a dish you could expect to find in the South of Italy, being enjoyed in the homes of local fishermen or fine dining Amalfi coast restaurants. The key to this dish is using the freshest ingredients, especially seafood! In a cast iron crock pot or saucepan add six tablespoons of extra virgin olive oil. I used my Tuffsteel cast iron crock pot, it is a great investment when cooking dishes that require longer to cook, as it distributes the heat evenly. Once the oil is heated add one bay leaf and chopped onions. 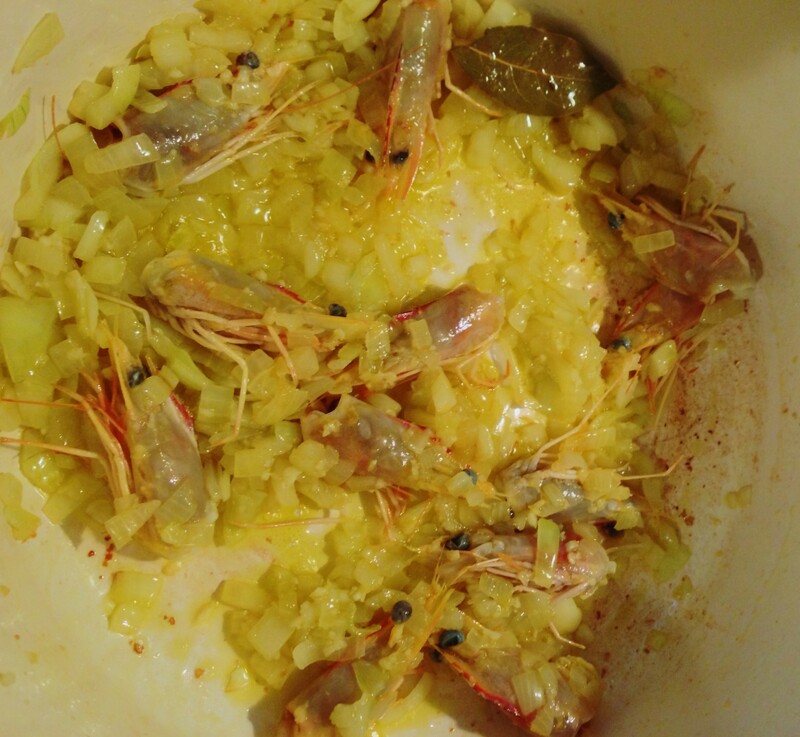 Let the onions cook until lightly browned.Now add the minced garlic and the prawn heads, this is what gives the stew its rich flavour. Stir the onion mix and cook it on medium heat for 10 minutes. Add the chopped tomatoes and give all the ingredients a good stir. 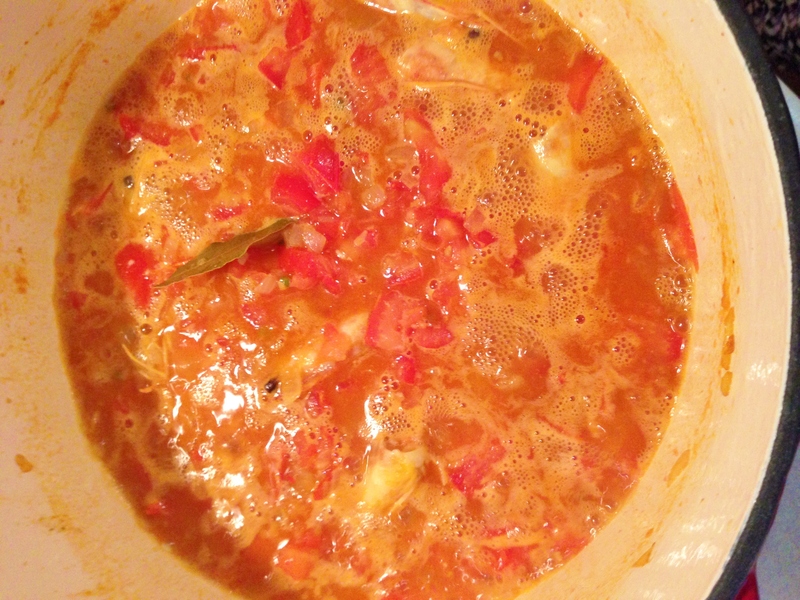 Cover the saucepan with a lid and let the tomatoes cook on a medium heat for five to seven minutes. Now add 375 ml of white wine, I used Jacobs Creek Chardonnay. Throw in the dried herbs and chilli flakes, stir the gravy and let it simmer for 20 minutes on a medium heat. 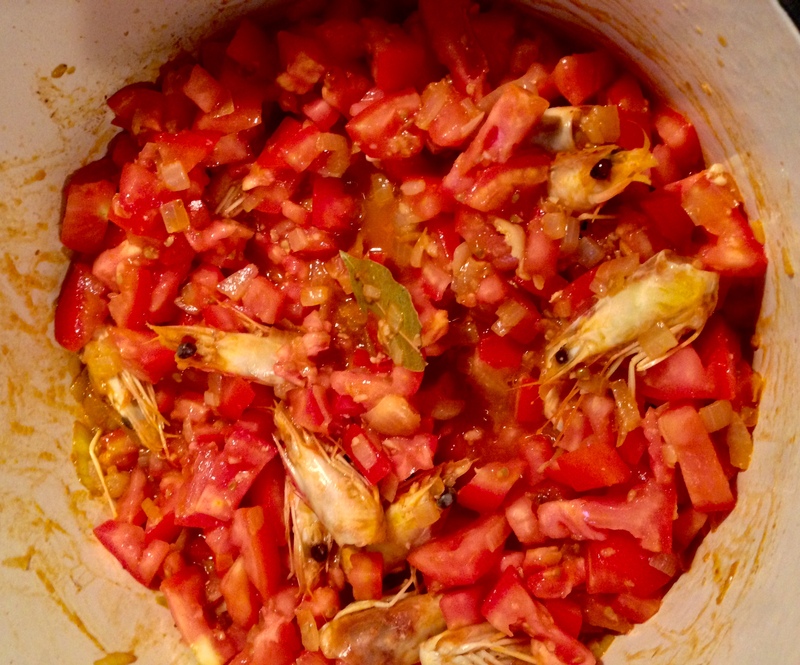 This will allow the wine flavours to blend with the tartness of the tomatoes and the ocean flavours of the prawn heads. By this stage you should be smelling those delicious aromas. Now add three cups of water, salt to taste and let the gravy simmer for another 20 minutes. 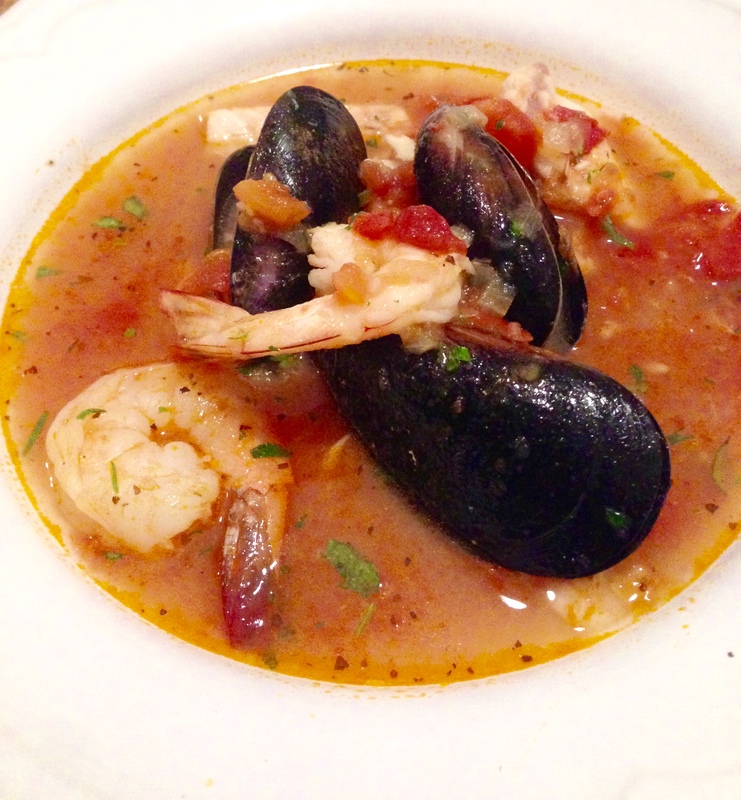 Your stew is now ready for all that fresh seafood. Remember the key to any good seafood dish is perfectly cooked seafood and because of that time is of the essence! Turn off the flame and start adding the seafood to the stew. First add the mussels and stir the stew, once they start to open slightly add the white fish (I used fillets of John Dory, Flake and Perch) and lastly add the prawns. 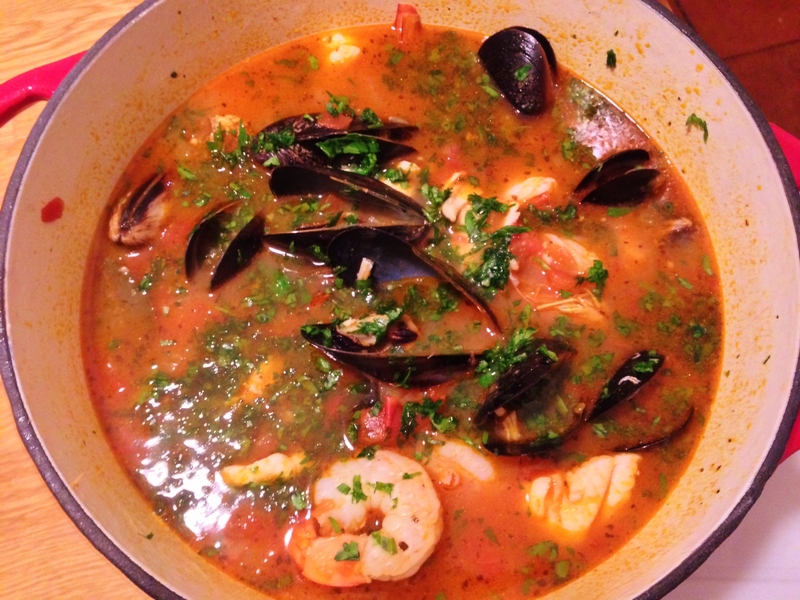 Place the lid on the saucepan for two to three minutes, the temperature of the stew will cook the seafood. This LSD stew is now ready to serve!!! Garnish with fresh parsley and serve with crusty bread, al dente linguine or by itself. LSD promises to rekindle your food romance and perhaps even teleport you to the beautiful Amalfi coast with just one bite. Sounds delicious! Have to try this!